Yard waste hauling. Three words combined to form the most boring and uninviting sentence in the history of lawn maintenance. But, you’ve got to do it. With the seasonal changes, you need to take good care of your lawn. And, now is a great time to get started. Landscaping is a constant chore, you must keep on top of it to keep it looking its best. Also, just because you use power tools doesn’t mean that waste can get lumped in with yard waste. For instance, if you change the oil or dump out the fuel of a mower or other lawn equipment, you can’t dump it into the same container as grass clippings. Fuel and oil are hazardous materials and need to be disposed of properly. Treat these with caution so you don’t cause injury to yourself or someone else. Separate the waste. 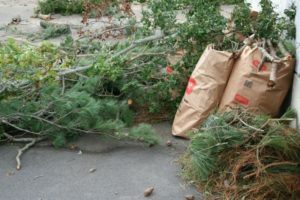 Place grass clippings and leaves together, but keep tree branches separate. This limits the wait and makes moving it easier. Not to mention the fact that if you stuff hardscaping materials inside, it’s going to be quite difficult to manage. And, it might even cause you a fine. Stop bad water retention. If you dump your grass trimmings and leaves into a large container, that’s normal. But, if you’re not going to empty it right away, you should consider drilling a few small holes in the bottom. This will allow it to drain so it’s not too heavy. Bundle branches together. Cut branches down to about three to four feet in length and bind them with twine to make the easy to carry. Also, be sure to reuse the soil for other spots, instead of placing it with grass trimmings. 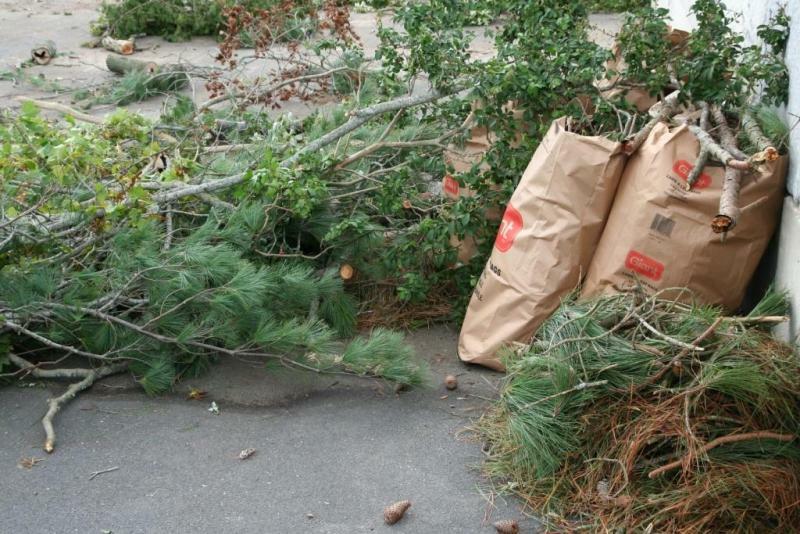 When you need yard waste hauling, just phone us at 800-433-1094 or visit Junk Garbage Removal.